The greatest addition to Disney Springs included in the recent Town Center opening is D-Luxe Burger. Home to gourmet burgers and shakes, D-Luxe Burger has become my favorite quick-service on property for both food quality and location. The food lives up to the hype. We’ve been 3 or 4 times since opening day and have yet to be disappointed. 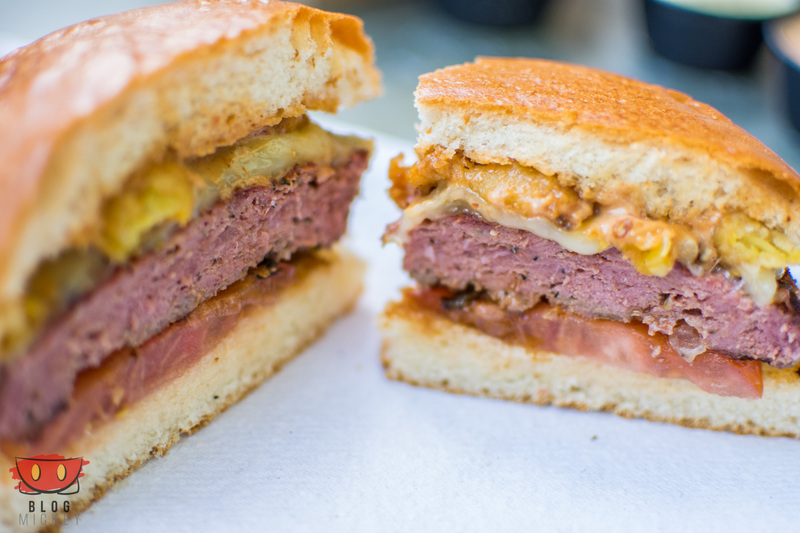 All of the burgers are cooked medium-rare and have a juicy pink center. I would highly recommend that you stick with the medium-rare, but if you’re more of a well-done type of burger aficionado, you can ask for it to be cooked to your liking. Here is a look at the burgers on offer. 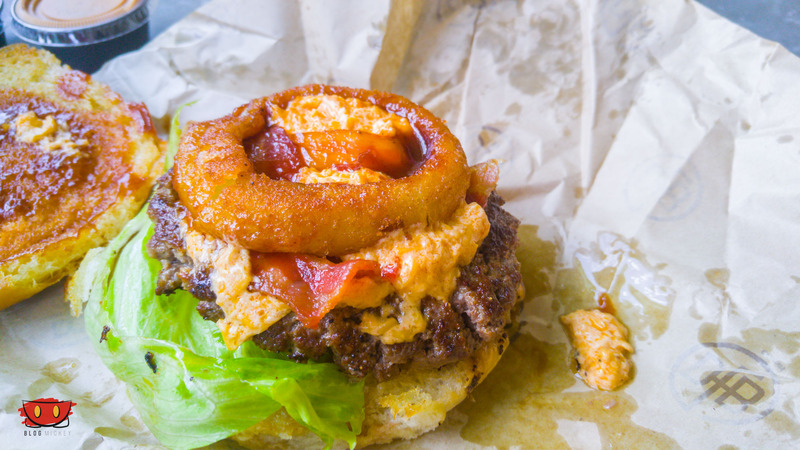 I guess this can’t be that balanced of a review, as I’ve only ever had El Diablo, but with a burger that amazing, I couldn’t bring myself to buy anything else. That said, we’ve gone with friends who have ordered the Classic Cheeseburger and Southern Classic Burger and have had very high praises for each. UPDATE: We’ve now tried the Southern Classic and I can give it a thumbs up! We are still yet to be disappointed by anything we’ve tried. 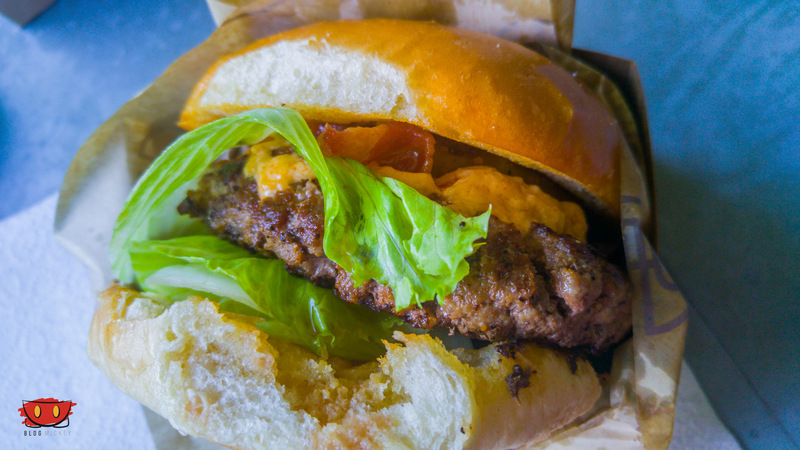 The Southern Classic is the type of burger that has just enough flavor (thanks to the Pimento Cheese) to allow for an enjoyable burger, but not too much to be scary for picky eaters. 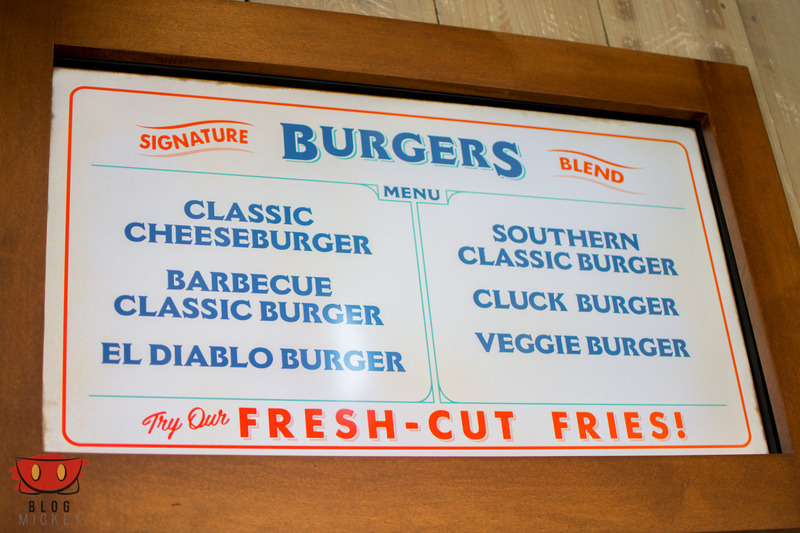 It’s definitely more subtle than El Diablo, but I would still give the edge to El Diablo, which is my favorite burger on property (and off property!). In addition to the burgers, you can buy a side of either regular ($4.99) or large ($7.49) fries. I’ve found that a regular is good for 1-2 people and a large is good for 3-4. 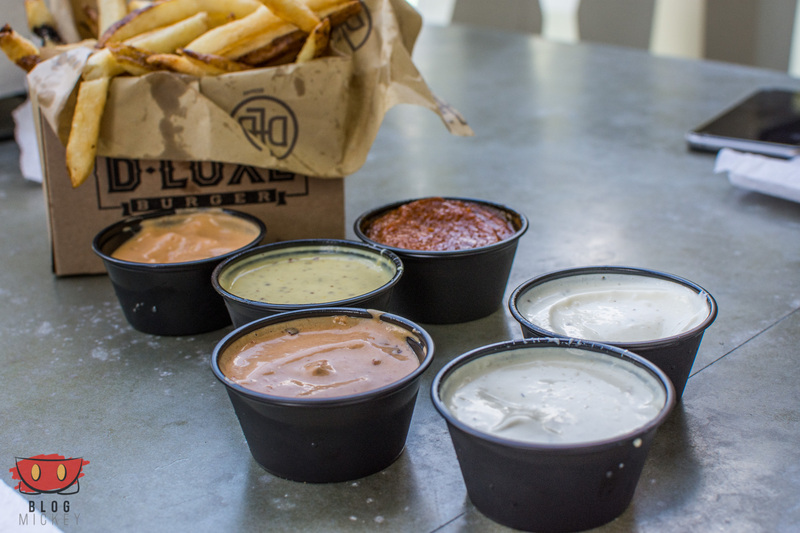 These sauces come at no additional charge, so try them all! Finally, there are 6 non-alcoholic and 3 alcoholic shakes on offer. We’ve just tried the Smoked Bourbon, but I can definitely say that it hit the spot! 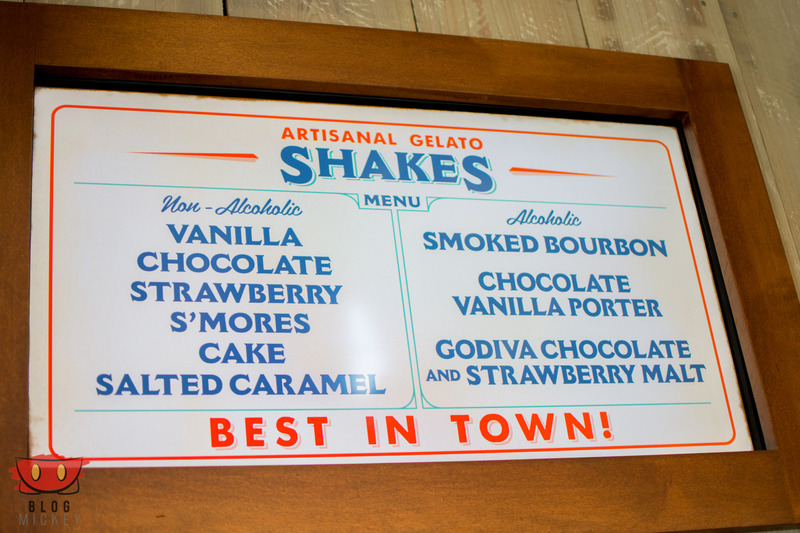 It’s mostly a chocolate taste that goes down like a shake more than a “hard” shake. 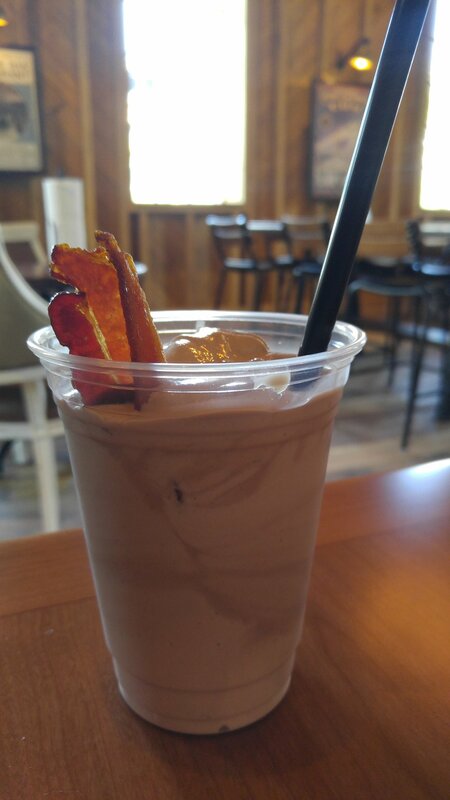 I was able to taste what I identified as bacon in the first couple of sips, but tasted mostly chocolate after that. At $14 it’s definitely pricey and despite enjoying it, I won’t be pairing it with a burger anytime soon. It’s one or the other for me. 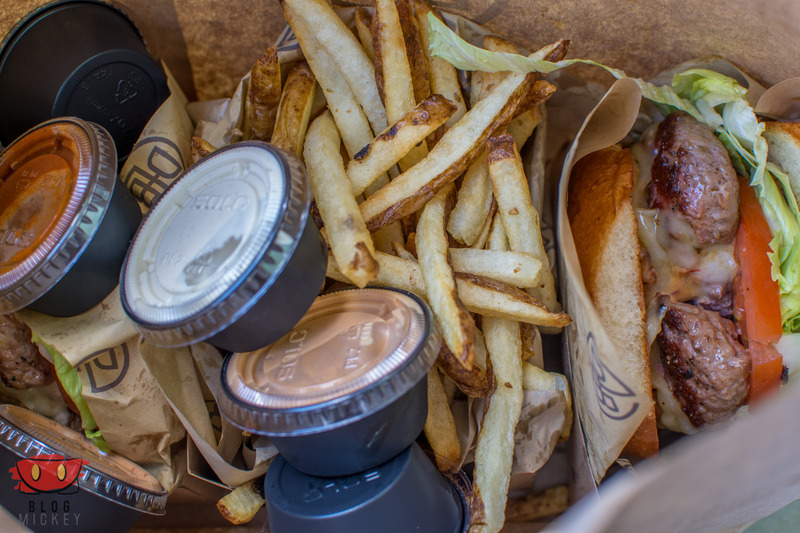 Located on the namesake water feature of Disney Springs, D-Luxe Burger is themed to an old-Florida ranch that was deeply embedded in the history of Disney Springs. 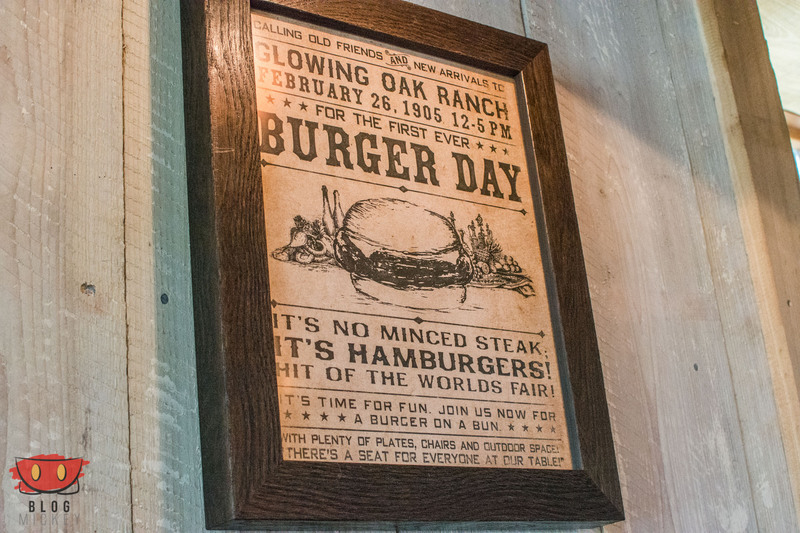 Originally the Glowing Oak Ranch and only 1 of 10 ranches in Florida at the time, D-Luxe Burger found it’s footing as a burger joint in the early 1900’s during the World’s Fair. The ranch became a staple of the rural section of Disney Springs due to a glowing oak where ranchers would gather at night to tell stories. There are a lot of rich details in the restaurant that help you piece together the backstory and history of the location. On a more practical note, D-Luxe Burger is located next to Guest Services and just a 3 minute walk from both of the garages. Close by you’ll be able to find shopping in the Town Center section and great drinks (or more food!) on the other side of the springs in The Landing. Here’s an overview of the restaurant. D-Luxe Burger has very quickly become my favorite quick service on property. 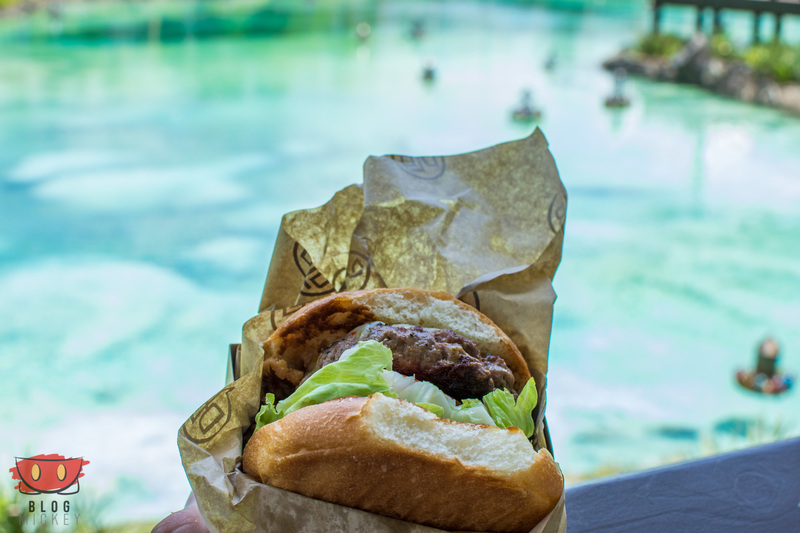 The amazing food combined with the beautiful views of Disney Springs leads to a very relaxing meal where you know you’re going to get the very best burger on property. If you’re feeling in the mood for a burger, head straight to D-Luxe Burger for a meal that surely won’t disappoint!